Product prices and availability are accurate as of 2019-04-25 05:02:05 MST and are subject to change. Any price and availability information displayed on http://www.amazon.com/ at the time of purchase will apply to the purchase of this product. A Single Superseal neck offers a smooth skin interior and unfinished, chafe-free edge. 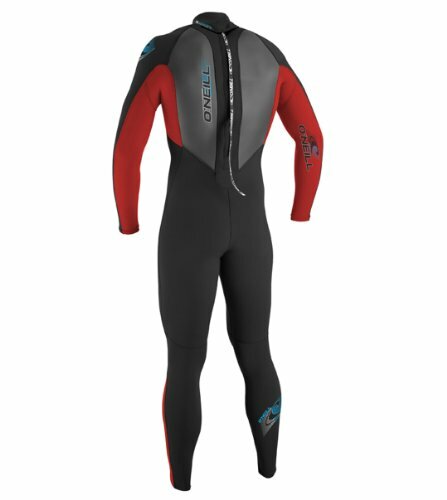 O'Neill's Reactor Series wetsuits utilize the company's proprietary FluidFlex design in the shoulder and sleeves for improved range of motion, a fully adjustable Superseal neck for long-lasting comfort, and Krypto Knee Padz to protect your knees and extend the life of the suit. This 3/2mm full suit additionally boasts flat-stitched construction, a Smooth Skin chest panel, and rugged, snag-free YKK back zip. 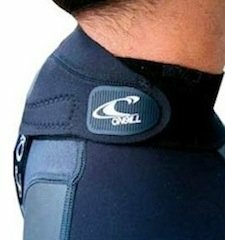 Krypto Knee Padz are soft, articulated pads which protect the knees and extend the life of the suit. Back in1952, Jack O'Neill opened the first Surf Shop in a garage. He shaped a few balsa surfboards and sold accessories like paraffin wax and vests he started gluing together from neoprene. When the vests started selling, Jack decided to go into the wetsuit business. The Surf Shop became a local gathering place, and the number of surfers began to grow. 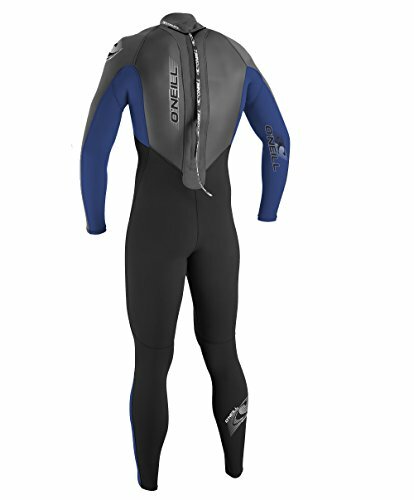 O'Neill flew in talented craftspeople like Phil Edwards to make boards, and wetsuit sales climbed. 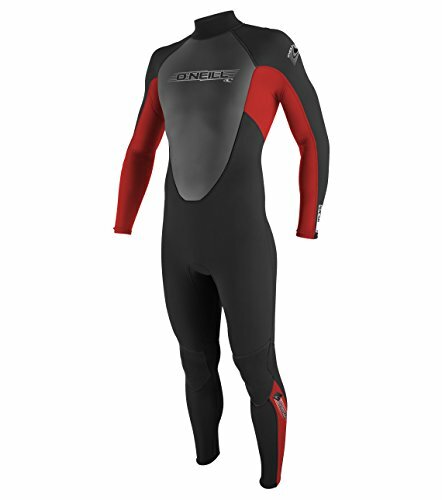 Soon surfers were riding more waves, and riding them better, in large measure because they could enjoy longer sessions in cold water thanks to Jack's neoprene suits. 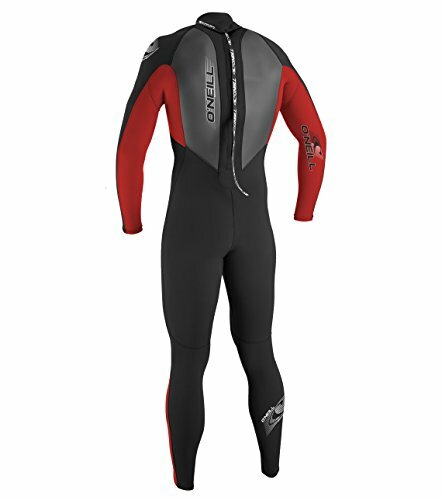 As Jack improved his wetsuit designs, surfers' territories expanded. Northern California became a year-round surf zone, and people were surfing New Hampshire and Rhode Island in January. Explorations and transplants to surf culture opened up Oregon, Washington, and Canada. Meanwhile, divers, water-skiers, snow-skiers, and windsurfers were wearing wetsuits. 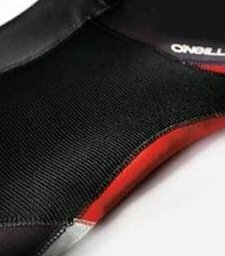 As business boomed, O'Neill relocated to a large manufacturing facility, and his surf shop has morphed into an international company, leading the world's wetsuit market and an innovator in beach lifestyle sportswear in the United States, Japan, and Europe. Jack's son Pat eventually assumed the CEO position, freeing Jack to surf, sail, and work at a variety of environmental projects. Besides a strong interest in saving the great white shark from extinction, Jack has also developed the O'Neill Sea Odyssey program -- a free, educational cruise aboard the Team O'Neill catamaran that acquaints kids with the microbiology of the Monterey Bay Marine Sanctuary.